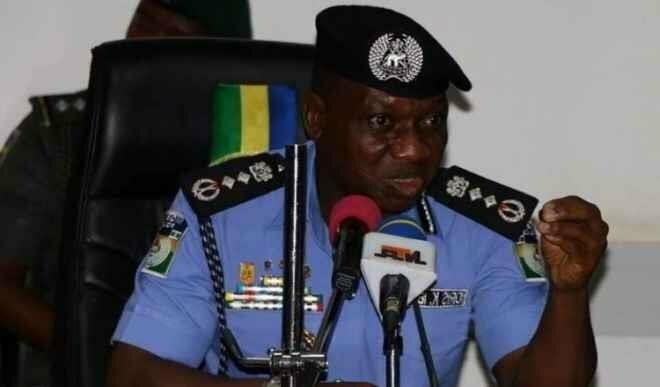 Inspector-General of Police Ibrahim Idris has set up a committee to destroy 10,000 illegal firearms and 26,000 ammunition recovered from members of the public earlier this year. The committee, which would be headed by the DIG in charge of Operations, Habila Joshak, has representatives from United Nations (UN) organs, Economic Community of West African States (ECOWAS) and Presidential Committee on Prohibition of Small Arms and Light Weapons (PRESCOM). Idris at a monthly meeting with senior police officers on Thursday said the weapons would be destroyed before the 2019 elections. The IG also described the actions of the El-Zakzaky Islamic Movement of Nigeria members as un-Islamic. He said: â€œI have set up a committee headed by the DIG Department of Operations comprising the United Nations Organs, the ECOWAS and the Presidential Committee on Prohibition of Small Arms and Light Weapons (PRESCOM) and other critical stakeholders for the destruction of illegal weapons retrieved from members of the public before the 2019 General Election. The IG warned that the Force would longer tolerate negligence on the part of Commissioners of Police in preventing crisis. He said: â€œThe Government and the people expect much from us in ensuring security and safety of all Nigerians throughout the country as we go into the 2019 general elections. â€œThe Force will no longer tolerate laxity on the part of any Commissioner of Police, who fails to be proactive in dealing with crisis and other violent crimes in their area of responsibilities (AOR). On the crisis in the FCT caused by members of the El-Zakzaky Islamic Movement of Nigeria, the IG said: â€œMost of the El-Zakzaky Islamic Movement of Nigeriaâ€™s members were arrested with hard drugs in their possession and these are people that claimed to be Islamic. This makes us to start thinking and questioning them. â€œThese youths have been used to cause havoc and I think the group should just be called El-Zakzaky because I donâ€™t see anything Islamic about them. â€œThese are people who are trying to bring problem of security to the country and the strategies applied by the police were the best. â€œI think our actions are commendable because our confrontation with them has not led to any death and that was because we were trying to avoid using too much force in tackling the situation. The IG added that some of them would be charged to court for terrorism.